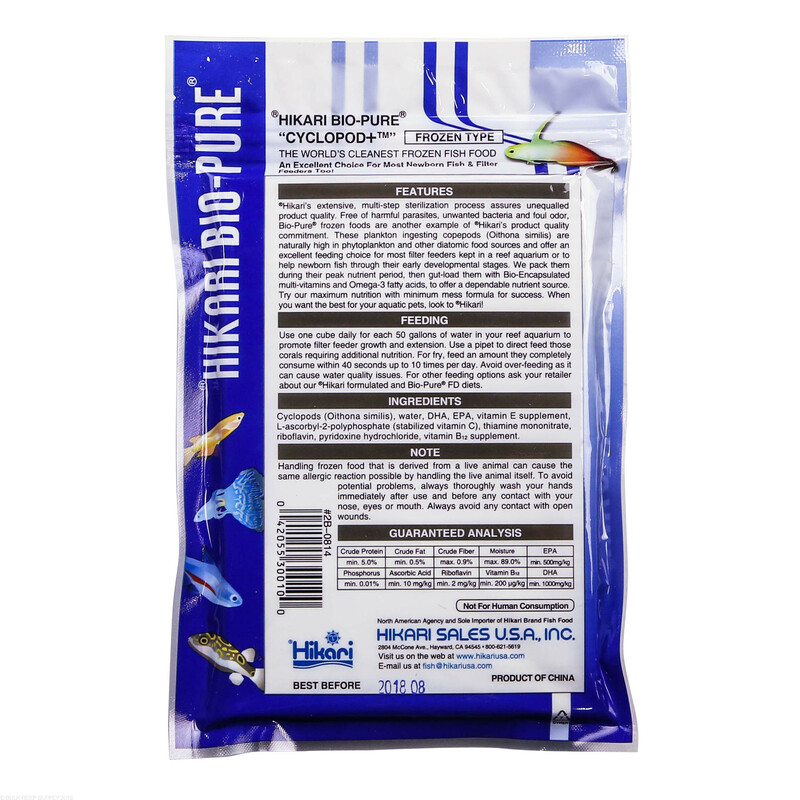 An excellent food for finicky fish with small mouths, juveniles, and fry. 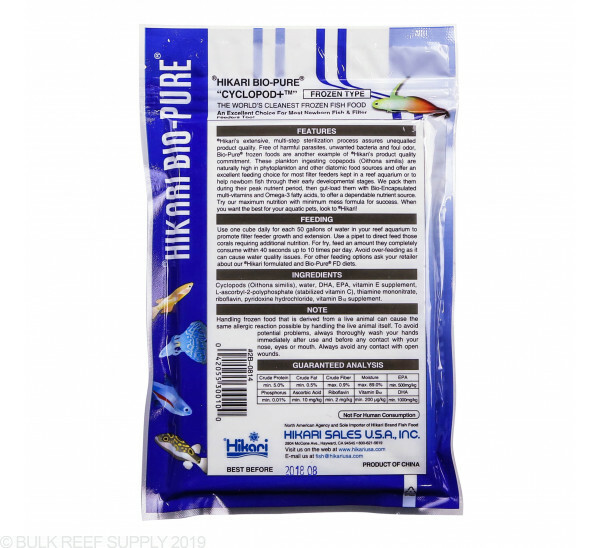 Also a great food source for target feeding corals and invertebrates. Cyclopods are a very small planktonic crustacean that is a member of the copepod family. 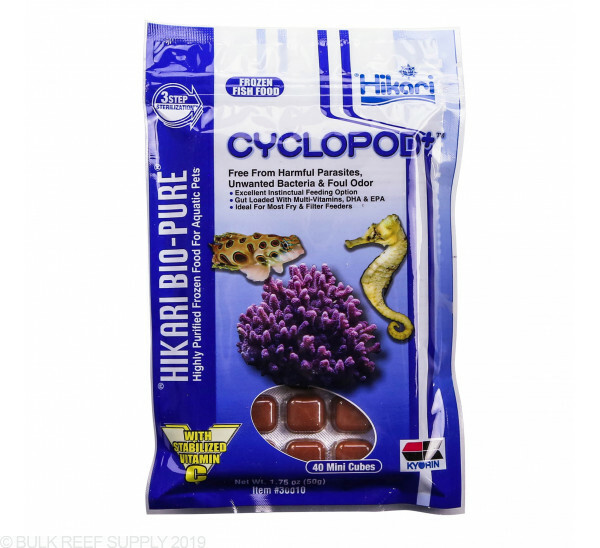 Mostly ranging in the size of under 1 mm, Cyclops are a protein rich food, that will allow your fish to naturally graze on a zooplankton within the water column recreating their natural environment. Feed only as much as your fish will consume in a 1 minute period multiple times a day. 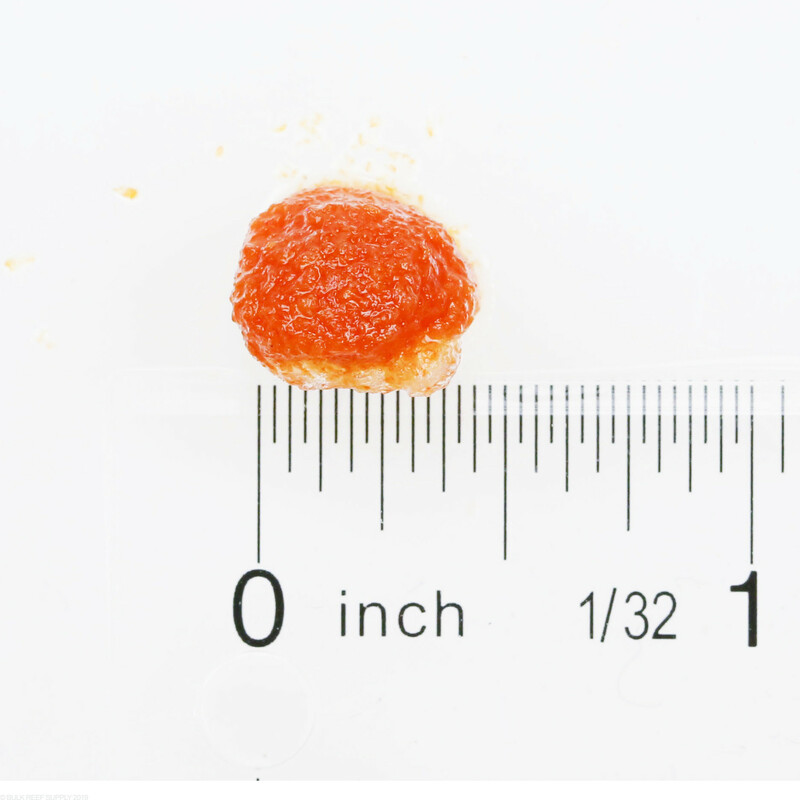 With smaller particle food it is best to feed very small amounts multiple times a day over a single large feeding. 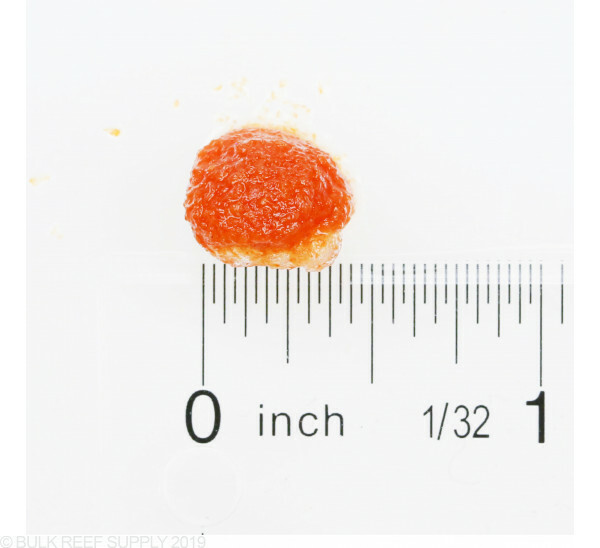 When feeding corals it is best to put a very small amount in the water column a few minutes before to activate the natural feeding response from corals, then target feed the corals with a pipette or similar tool. 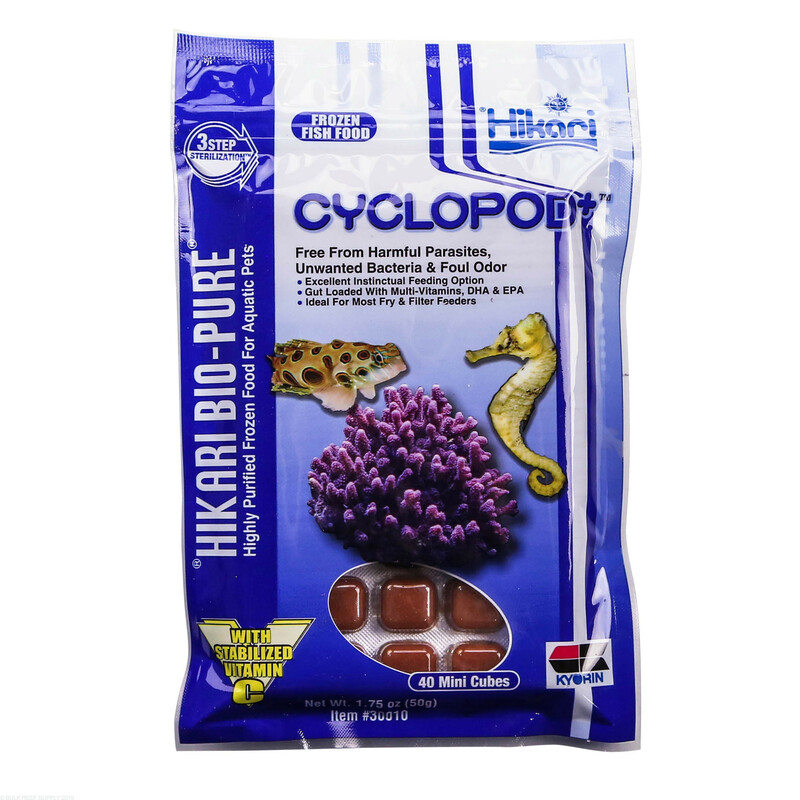 Cyclopod Ingredients: Cyclopods, water, DHA, EPA, vitamin E supplement, L-ascorbyl-2-phosphate (stabilized Vitamin C), thiamine mononitrate, riboflavin, pyridoxine hydrochloride, vitamin B12 supplement.